Statuesque Miniatures and Pulp Alley are pleased to announce the first releases from our new joint Pulp Alley Miniatures range. 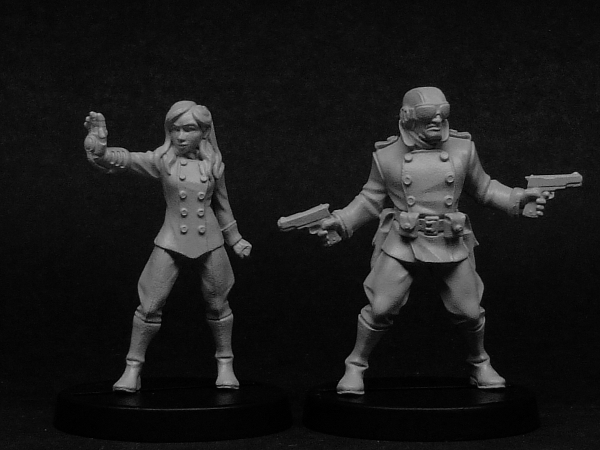 First out of the blocks are Pulp Girl and Phantom Ace, two daring pulp heroes ready to fight villainy wherever it raises its head. As a special pre-order launch deal, Pulp Girl and Phantom Ace are available for only £7/ $11.75 for the pair. These figures are available from both the Pulp Alley Webstore in the USA and the Statuesque Miniatures Store in the UK. Also available from both sides of the Atlantic is Lillie Poots. 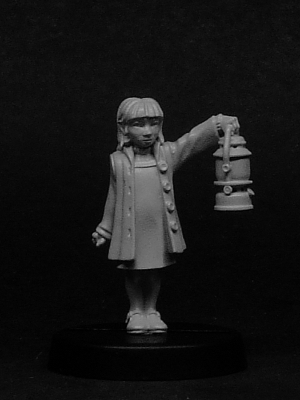 Bravely venturing in the the darkness armed only with her grandmother's lantern, Lillie has a starring role in Statuesque Miniatures' new Statuesque Asylum pulp horror range. Lillie Poots is priced at £3.50 or $5.75. Also escaping through the gates of Statuesque Asylum are the Frothing Loonies! 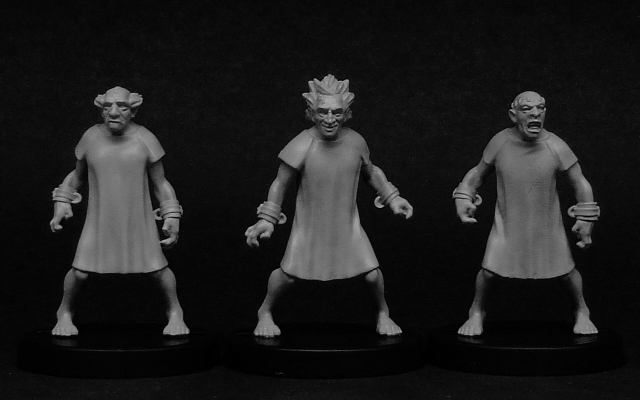 These crazed individuals are the unfortunate victims of Dr Strukov's nefarious surgical experiments and they roam the wards and grounds of Statuesque Asylum, a danger to all they meet. The Frothing Loonies are priced at £10.50 for three figures with six, poseable head options for greater variety, and are available from the Statuesque Miniatures webshop. Finally, for a limited time only you can get Lillie and two sets of Frothing Loonies for only £21 with the Lillie Poots Versus the Frothing Loonies Special Offer, saving £2 over buying the items separately. Please note all the new releases are pre-orders and will not be shipped before the 3rd of March 2014. All limited offer run until 3rd of March or while stocks last. Unfortunately, Sod's Law has dictated that we have sold out of the Pulp Alley Rulebook just before the new miniatures range goes on sale. The book will be restocked in due course, once I've checked the old finances and paid what will be a rather hefty moulding and casting bill this month! I apologise for the inconvenience. In the meantime, the Fortune Deck and the Perilous Island expansion are still available. Finally, the rather popular Hong Kong Killer Fembots are also currently out of stock. However, I have decided to keep them on sale as a Restock Pre-Order, so if you wish to purchase Fembots and any of the current special offers, you can do so without paying twice for postage. Please be aware there could be a two to three week (or more) wait for me to receive the Fembot restock, and any orders containing the Fembots will not be posted until I have the new stock. Do not order the Fembots if this is an issue for you. As you can probably tell, restocks are an issue for a small company like Statuesque. I had wished to order more stock of the Fembots at the last restock, but I had various other codes that also needed to be restocked so I had to order what I could afford. Now that we're getting through the backlog of new releases cause by the Fembot production delay, I hope to be able to keep on top of stock levels. Also, apart from the Fembot Restock Pre-Order mentioned above, we do not sell items that we do not have in stock at the time of order.